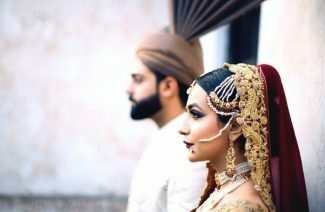 This might come off as a new concept because Pakistani brides fail to consider necklines when designing their wedding dress. However, your neckline style matters. If you wear a dress with no consideration for your body type, it can result in pretty awkward appearances. Dreaming up a perfect bridal dress in often easier done than the real thing. You might find that some of the dresses you liked, didn’t like you back. The best looking bridal lehengas might fall awkwardly against your frame, and ruin the whole appeal. 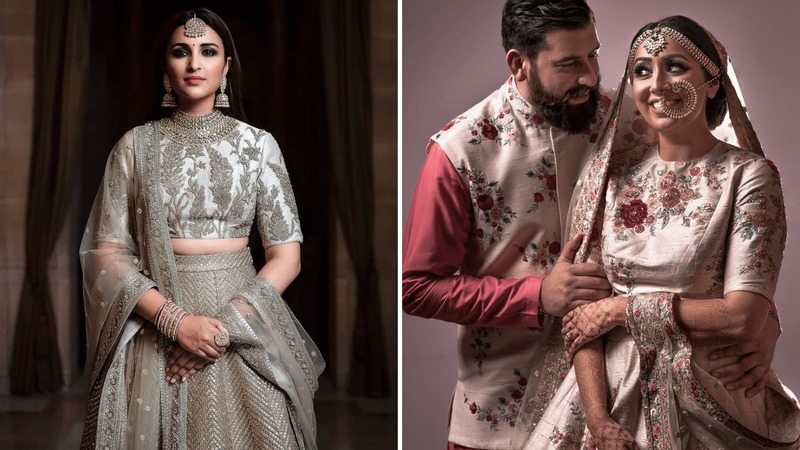 So making sure that your bridal lehenga hugs your body frame perfectly should be one of your priorities while dress hunting, and later fittings. This type of neckline follows the line of the bust to create a rectangular cut. They tend to look flattering on girls with a low waist and wide hips, or brides who support a slim waist. This kind of neckline looks amazing with a gown with empire waist. It creates a goddess-like bridal look given its simplistic grace. Yes, we agree that square necklines are not so popular in the east, but slender brides should really give it a try. It will cover up their thinness perfectly and give them a more balanced outlook. The high neck or high collar is a t-shirt style neckline. It is an all-time sophisticated option for brides, especially for the ones who like minimal jewelry. It calls for a simple updo and fewer accessories. If your personal preference tends to be more reserved elegance, as compared with the fleshier displays; you should opt for a high neck bridal trend. 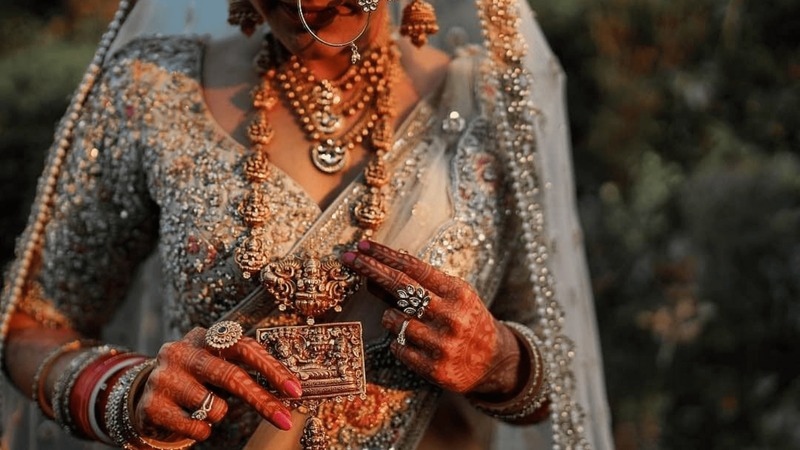 It’s currently high in demand, as proven by the popularity of Sabyasachi’s bridal gowns. 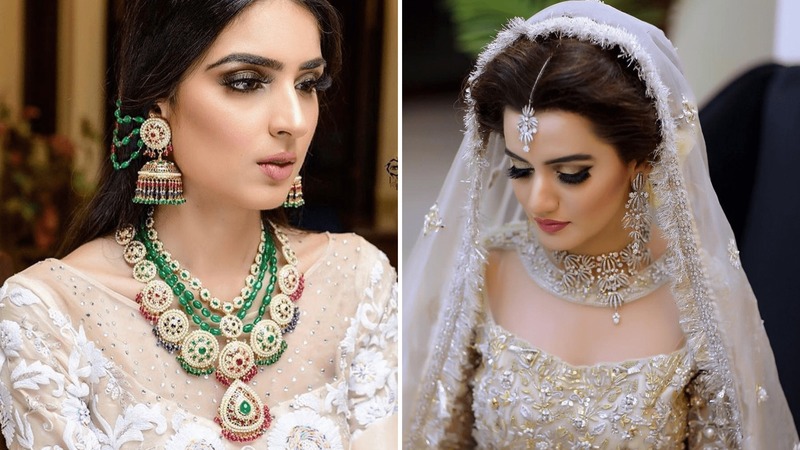 Some brides have also paired high-collar bridal lehengas with heavy jeweled chokers and the effect was equally amazing. This is our all-time favorite wedding dress neckline. Bateau, also known as boat neck, is the type of neckline that draws a straight line from shoulder to shoulder at the front and the back of the dress. Its effect is minimalist, conservative and elegant. If you pair it with an A-line silhouette, it’s bound to look like a dream on you. You can adapt it for your bold eastern lehengas or modernistic monochrome gowns and it will look equally amazing. (Meghan Markle’s famous royal wedding gown had a bateau neckline, and we can all agree it gave her a youthful blush). It’s your basic u-shaped neckline that may vary in depth. You can adjust the depth depending on the kind of jewelry, you are hoping to wear. This neckline accentuates the bust line to create a youthful and comfortable dress outlook that’s timeless. You should choose it if you wish to refine or lengthen the short or wide neck. Many of our brides sport this neckline because it does justice to your jewelry, chokers especially. However, make sure that your neckline is only deep enough for you to feel comfortable. This neckline features a sheer fabric along the top of the bodice. It’s like a strapless but gives more coverage and looks brilliant. A rather modern neckline, it’s been seen from red carpets to weddings everywhere. 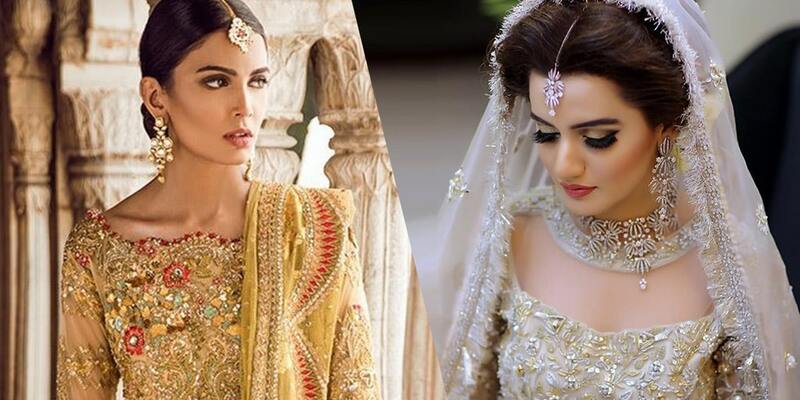 We at bridals.pk love how this neckline looks on present day brides who play with the neckline in dozens of ways. In the west, the neckline creates an illusion tattoo of lace and it looks absolutely flattering. Despite it being a modern trend, you will find that your dress will look timeless with this neckline. Stylish and classy; V neckline shows off your shoulders and highlights them with the curves of your front. This neckline also refines the short neck. You can pair it with either full or cap sleeves. This neckline brings special attention to the silhouette of your bridal dress. It is suggested for the brides with a round face, because this neckline will make your face appear oval. Also, if you are on the shorter side, this neckline gown will create an illusion of a taller height as well. If you plan to wear long necklaces, this neckline is your best bet with multi-layered haars. Universally flattering; sweetheart neckline is something we have seen on brides, countless times. It suits all body types by enhancing the curves. Although, our brides tend to opt for model soft sweetheart neckline, there are more daring and plunging sweetheart necklines are also popular across the world. 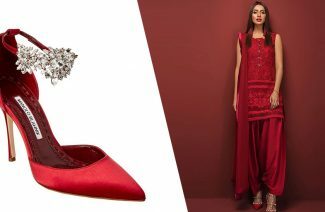 Remember that Priyanka Chopra’s Mumbai reception dress? The one with the strapless sweetheart neckline and corset fit bodice, paired with a full skirt? It was a great choice for a young and in-love look. This might come off as a new concept because Pakistani brides fail to consider necklines when designing their wedding dress.